At Southcoast Brain & Spine Center, we do everything we can to help our patients achieve their best health. 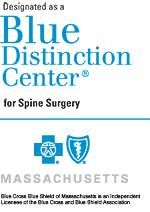 That’s why we partner with community physician specialists to provide physiatry in southeastern Massachusetts and Rhode Island. Physiatry is a combination of physical medicine and rehabilitation (PM&R) services that focus on helping you regain your highest level of function. When you come to Southcoast Brain & Spine Center, you will be given top-quality care from compassionate professionals. We treat patients of all ages through our multidisciplinary approach, allowing you to receive the specialized care that you need to treat your condition. Physiatry treats the whole person as opposed to just the problem area in hopes of improving a patient’s entire quality of life. Using advanced electrodiagnostic testing, we can determine a diagnosis and offer both interventional and non-interventional techniques and options for management. These options can include spinal injections and have an emphasis on “exercise” medicine. If you are frustrated by how your disability or pain holds you back, the physiatrists at Southcoast Brain & Spine Center are here to help you improve your condition. Find a physiatrist near you, and schedule an appointment to take advantage of our physiatry services. Southcoast Health offers patients with musculoskeletal and neuromuscular conditions physiatry in Fall River, Dartmouth, New Bedford, Wareham, MA and surrounding areas of Rhode Island.